Matt Scrafton trawls through the archives to look back at Blackpool's draw with Accrington Stanley in 2017. Accrington Stanley arrive at Bloomfield Road tomorrow for an eagerly awaited League One clash. When the clubs last met in Blackpool 16 months ago, they were both League Two sides. The Seasiders went up that season and Stanley followed them into the third tier 12 months later. Stanley went up as champions, whereas Blackpool took the play-off route. However, Pool’s success that season looked unlikely after their Bloomfield Road stalemate with Stanley. However, Pool would win three of their remaining four games to sneak into the play-offs in seventh spot and Wembley beckoned. 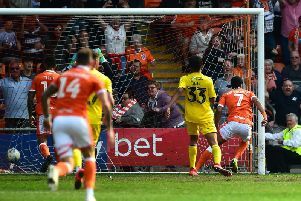 Kyle Vassell’s penalty miss proved costly as Blackpool’s play-off hopes were dealt another blow as they drew 0-0 with Accrington Stanley. Pool’s top scorer had the chance to strike a decisive blow with just 15 minutes left on the clock in what was an evenly matched and tight affair, but he could only shoot tamely at the Stanley goalkeeper. It was Pool’s seventh penalty miss of the season. The draw means the Seasiders are still two points off Carlisle United in seventh ahead of Easter Monday’s trip to league leaders Doncaster Rovers. The game started in a lively manner and we didn’t have to wait long for the first goalmouth action, with only 45 seconds on the clock when Stanley striker Billy Kee saw his volley comfortably saved by Sam Slocombe in the Blackpool goal. The visitors were keen to show their attacking intent right from the off, with Kee going close once again with a glancing header that skipped narrowly wide of the far post from a free kick. But it wasn’t just the visitors who set their stall out to attack early on, as the Seasiders were also keen to start on the front. They had their first opportunity of the day through top scorer Kyle Vassell, whose looping header was saved by Stanley keeper Marek Rodak on the line. A gilt-edged chance then came Pool’s way in what was a breathless start to the game, but Tom Aldred wastefully nodded wide when presented with a free header from Jack Payne’s corner kick. Gary Bowyer’s men maintained their spell of pressure and created another opportunity early on, this time Kelvin Mellor heading straight into the arms of Rodak from Vassell’s deep cross. The game calmed down a little from that point onwards, although Pool had half-hearted appeals for a penalty turned down when Nathan Delfouneso went down in the box as he went to shoot. Both sides began to cancel each other out towards the end of the first half, although Stanley’s Kee saw his effort from the edge of the area deflected wide of the target. But the opening period soon sprung back into life as Pool countered having just defended a corner, with Bright Osayi-Samuel missing from just yards out from Colin Daniel’s pullback. It was a gilt-edged miss that should have seen Bowyer’s men break the deadlock. Accrington hit back immediately with a chance of their own but Sean McConville was only able to screw wide of goal after being found in some space down the left. The second half began just as emphatically as the first had done, with Pool bursting through the middle right from the off with Neil Danns appearing to be brought down in the box, but the referee waved the appeals away. Stanley broke the other end and came inches away from taking the lead, but Matty Pearson’s close-range effort was brilliantly headed off the line by Aldred. 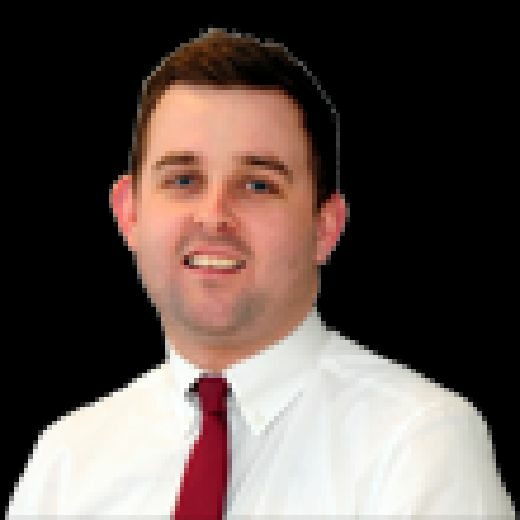 The Blackpool players were up in arms appealing for a penalty for the third time after Kelvin Mellor went down in the box from a corner, but again nothing was given. A lull descended on the game once again midway through the second half, with the play being disrupted by lots of niggly fouls. Stanley did waste a good chance though when the ball fell to Omar Beckles at the back post but the tall centre back failed to connect. The Seasiders pushed forward in numbers in the final stages in search of that vital goal, with Jordan Flores coming off the bench to shoot straight at Rodak. Blackpool were gifted an opportunity to take the lead with 75 minutes on the clock when Seamus Conneely fouled Jack Payne in the area as they contested a bouncing ball. Kyle Vassell was the man to step up but it was the visiting supporters who were left celebrating as the striker tamely shot straight at the Stanley keeper. The home fans appealed for another penalty after Sanmi Odelusi’s cutback appeared to hit an arm inside the Stanley box, but the appeals fell on deaf ears much to the annoyance of Pool boss Gary Bowyer. There was more drama to come in the dying stages, as the referee appeared set to blow for a penalty kick to the visitors when Shay McCartan was sent sprawling in the box, but the referee deemed Sam Slocombe to have got a hand on the ball. The final action of the game came Accrington’s way and it was Kee who nearly broke Blackpool’s hearts with a curling effort that just evaded the top corner. Blackpool: Slocombe, Mellor, Aldred, Robertson, Daniel, Osayi-Samuel (Odelusi), Payne, Danns, Potts (Flores), Delfouneso, Vassell (Matt).